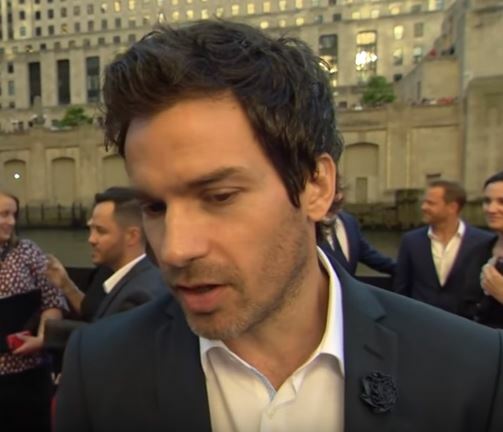 Santiago Cabrera attended the U.S. premiere of “Transformers The Last Knight” in Chicago on June 20th. Many of the movie’s stars joined him on the red carpet. It was held at the Civic Opera House. A red carpet was set up along the Chicago River in front of the theater. Anthony Hopkins, Mark Wahlberg, Josh Duhamel and Laura Haddock were also in attendance. The movie is the fifth installment in the Transformers series. Optimus Prime goes to the dark side in this movie. The movie delves into the history of Transformers and their relationship to humans over history. 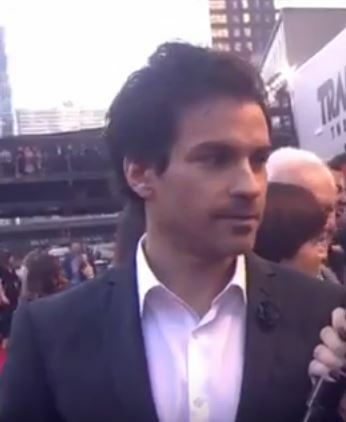 Santiago did several interviews on the red carpet. He looked very smart in a navy jacket and white shirt. When asked who was most excited about his role in the movie he responded his little boy. Then he went on to say at least he will be when he is old enough to understand. Seems Cabrera is a very proud Papa. Check out the interview below. Let us know if you enjoyed the movie!